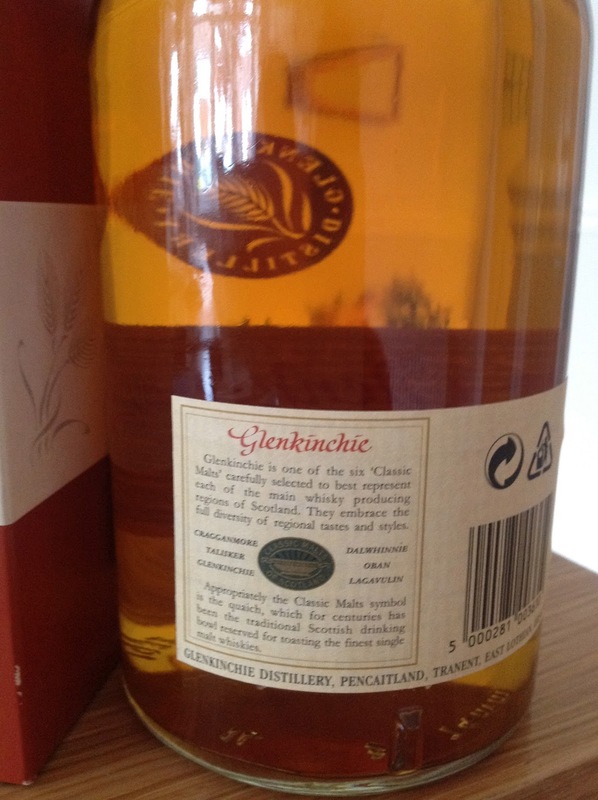 Fate is a myth I'm never sure about, but what with me due to visit the Glenkinchie distillery later this week, I stumbled upon a bottle of their 10 year old malt release. Now, for those unaware this is not the current staple release of the distillery. Around 5-6 years ago Diageo decided to switch from 10 to 12 year, a move that can only be described as beneficial in my eyes or tastebuds, I hope. The giant distiller has owned several lowland distilleries over the years and sadly few are now left. The glorious Rosebank for instance, is no more and instead Glenkinchie ploughs onwards. 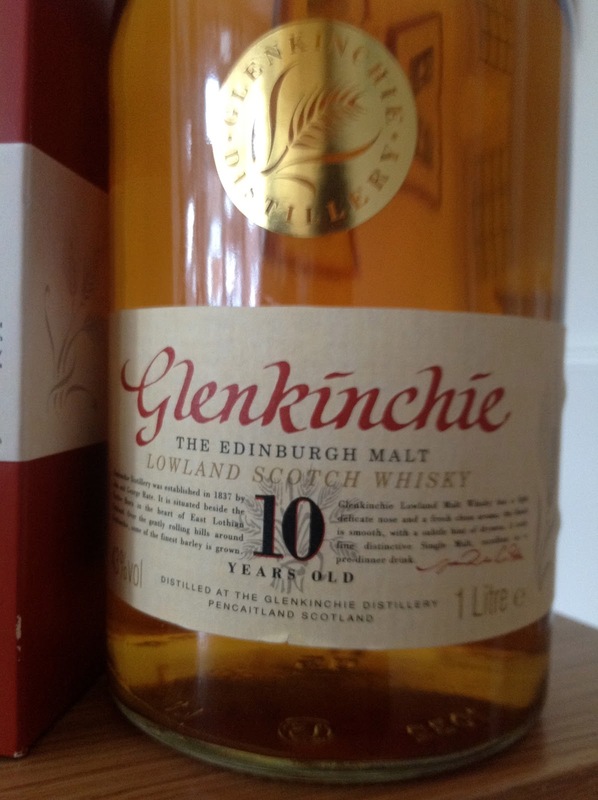 It's a puzzling choice for many, as this malt was never hugely thought of, nor particularly noteworthy. Which made the decision to elevate it to the 'classic malts' range all the more puzzling. However in the context of that marketing vision, a journey that takes you through the range of flavours, aromas and pitfalls. For the newbie to whisky (or Scotch as I'm reminded! ), this would probably be your first stop on a remarkable journey. It's location just outside of Edinburgh is a possible factor as well, visitors to the capital city can easily leave the confines of its beautiful landmarks and reach out nearby to a working distillery. An effort far more rewarding that cruising the whisky and tourist shops that dominate the Royal Mile. Apologies firstly for the photos, as I'm still getting used to this iPad and I still prefer my N8 for such things. Normal service will be resumed shortly! Ok, lowland malts are traditionally light and this one has been dubbed 'the Edinburgh malt' or more descriptively 'the breakfast malt', which gives you an indication of what's in store. Even the label suggests that this is 'excellent as a pre-dinner drink'. Normally I like to keep my malts for post-dinner and a relaxing few drams by the open fire (I only have a fake one), as the rain lashes down outside (no problem with this commodity). There does seem to be a real debate about the value of matching malts against food, whereas wine buffs seem horrified, this is a growing area of discussion alongside beer drinkers. Anyway, that's for another time. A touch of faint spice and fruit, mainly dominated by the smell of cut grass. Again faint residues here; a softness of spice, cream, honey - a dash of sweetness. Even after a few drams this chap won't reveal a full character as I suspect there isn't much to offer. My initial impression was 'yuck' to be honest! Very hard to develop any flavour finish here, maybe vanilla but generally a sense of relief. Now, don't get me wrong here. I am really looking forward to the distillery visit and making the comparison with the 10 vs 12 year old. Working lowland distilleries are a rarity nowadays plus its another tick in my ongoing Classic Malts visitor book, which we started a couple of years ago. 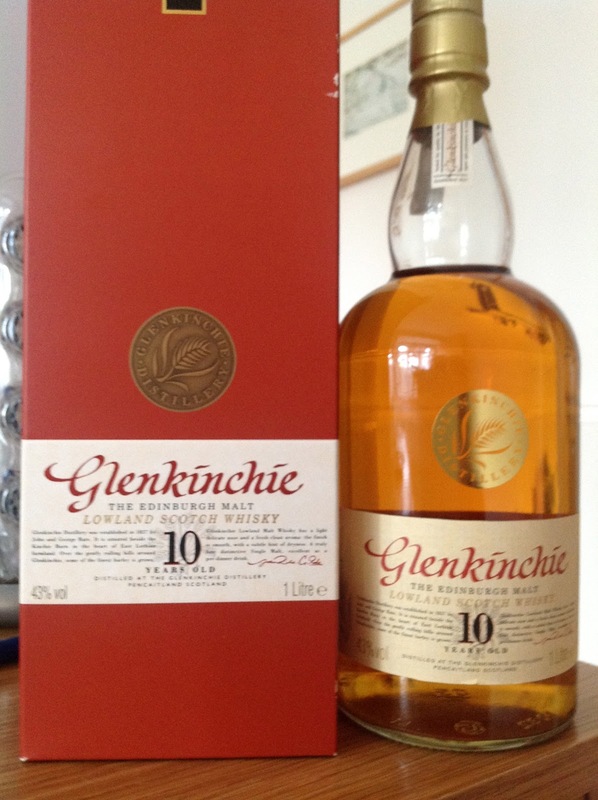 However as a malt, the Glenkinchie 10 year lacks character and a desire to stand out from the rest. More aged releases would be of interest, if only to see if the flavours developed greater emphasis.